Cisco is a black Labrador mix. Let's get the facts out of the way, so I can tell you a bit about his sad beginnings. He is up to date on all of his shots, he is 5 years old, neutered and now recently chipped. Cisco, had been living with 'his' family for the last 5 years, they adopted him as a puppy. They originally named him Psycho, for no apparent reason, as I realize this name conjures up ideas of a wild dog running around without any discipline or care. He is so well behaved, one can only wonder what they were thinking, but then the story gets worse. The family would leave him outside in their small yard chained up to a tree log all day long. Yes, they tied him up to a tree log in a fenced back yard for 5 years. They did not interact with him and neglected him terribly. Cisco has not received the love and attention he has deserved. The story gets even sadder, the family had to move, and they did not want to take Cisco with them. They came up with the bright idea to put Cisco down. They thought this was their only solution. Luckily a neighbor called us and asked if we could take him. We called the family and they reluctantly surrendered him to us. Thankfully so. This dog is absolutely amazing. For a dog who has only known a 10-foot radius of earth around a tree for the last 5 years, he is very well adjusted. He is well behaved, rides in a car, and understands a few commands. He is now living with a temporary foster, so he can get used to being inside. He needs love, attention and the human touch. All a dog wants is to be loved and they will love you unconditionally. Cisco is forgiving, well adjusted, and ready to find him forever home. Contact us for more information on Cisco. We are looking for a forever home or another foster. He is such a good boy. 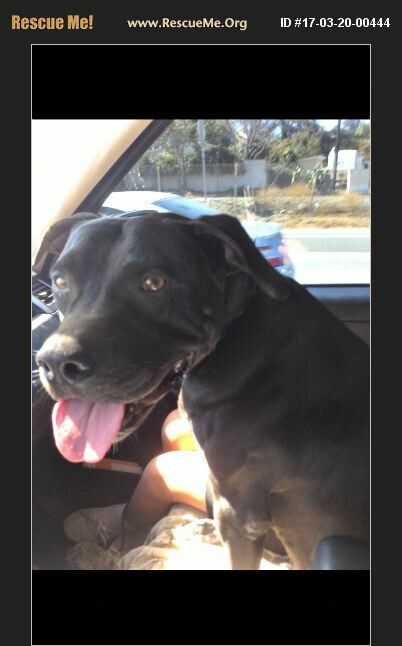 Contact: Jackie 714-381-4344 or www.doggiebonez.com for more information.